We share this information because we want children and their parents to have the best available information in a convenient format, so you don’t have to worry if the information you read online is correct. As always, please feel free to contact us if you have any questions or concerns! We are all here to ensure you/your child receives world-class care. Dr. Jason Blatt, neurosurgeon and University of Florida faculty member treats pediatric epilepsy patients. Epilepsy is a disease of “electrical storms” of the brain, which we call “seizures.” These generally cause sudden episodes of sensory disturbance, convulsions or shaking spells, or loss of consciousness. However, there are many types of seizures, and not all of them look like “classic” seizures that you may have seen on TV or movies. Some seizures are followed by a period of sleepiness and confusion, which is called a “post-ictal state” (“ictal” is a medical term for “related to a seizure”). Most types of epilepsy can be controlled with medications. There are many medications available, so sometimes it takes a few tries to find the correct medication or dose to achieve good seizure control. Neurologists are the doctors who manage your/your child’s epilepsy medications, and will be in charge of this process. Unfortunately, some patients are unable to achieve good seizure control despite trying multiple medications, or they experience bad side effects from the medications and are unable to take them at a high enough dose to stop the seizures. These patients are said to have “refractory” epilepsy, and are often referred to epilepsy surgery teams to see if surgery, rather than medication, can help stop the seizures. An epilepsy surgeon is a neurosurgeon (“brain surgeon”) who has special training and/or interest in caring for epilepsy patients. Most pediatric epilepsy surgeons are also pediatric neurosurgeons (meaning they have additional fellowship training in childhood brain surgery for other diseases as well). There are many types of surgery for epilepsy, and they all have complex names: vagus nerve stimulation, temporal lobectomy, callosotomy, hemispherectomy, etc. In a nutshell, epilepsy surgeons may be able to safely remove or “disconnect” the part of the brain that is causing the seizures. This can result in significant improvements in seizure frequency, severity, or other symptoms. Some patients can even be cured of their epilepsy. However, it is a complicated task to determine which patients should undergo these delicate operations to achieve the best results. 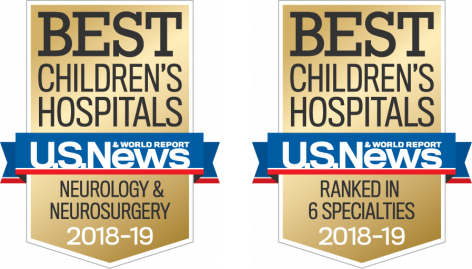 This is why, at Shands, epilepsy surgery is a “team sport!” There are many doctors and other professionals who will help the epilepsy surgeon decide if your child would benefit from one of the available surgical treatments. OK, that all makes sense. How do we get started? Good question! The process of figuring out whether you/your child would benefit from epilepsy surgery involves a LOT of testing and can take several months to undergo. We know the time commitment can be frustrating, but remember, before we talk about putting you/your child through brain surgery, we want to have as much information as possible, in order to choose the right surgery and do it safely. The epilepsy surgery team meets almost every week to discuss our patients and their test results, so rest assured that a lot of things are happening for you/your child “behind the scenes!” You should know that epilepsy surgery evaluations happen in what we call “Phases.” The next couple of pages will describe those Phases and what happens in each Phase. Remember, not every patient has to undergo every test listed here, but we want you to be familiar with these terms if we start using them with you/your child. If your child has been diagnosed with epilepsy, odds are good that s/he has already undergone an EEG test (electro-encephalogram, or “brain wave” test). The test is done by placing electrode stickers all over the patient’s head and recording the electrical activity of the brain. This is the best test for identifying abnormal electrical activity in the brain. Phase I of the epilepsy surgery evaluation process is basically a very long EEG recording. Children are typically brought into the hospital for several days, so we can catch as many of their seizures as possible on the recording. They will stay in a special hospital ward called the Epilepsy Monitoring Unit, or EMU, where the staff have special training on seizures and the care of patients with epilepsy. Sometimes, the Neurologist will do things to try and increase the likelihood of you/your child having a seizure, such as reducing the anti-seizure medications, having you/your child breath quickly, keeping you/your child awake at night, or exposing you/your child to flashing lights. By capturing as many seizures as possible, we can learn more about the part of the brain that is causing the seizures, and start trying to pinpoint its exact location and size. This can sound like a scary process – after all, before Phase I, all our care has been aimed at preventing seizures, not causing them! This is why we do Phase I testing in the hospital, so the patient is surrounded by trained medical staff at all times, and can be kept as safe as possible during the seizure recordings. We use many other kinds of testing to help us pinpoint the exact location of the brain area which is generating the seizures. After all, we only want to remove the smallest amount of brain tissue possible to reduce or cure the seizures! The timing of these tests can vary; they will all generally be done before Phase II, but they can be done before, during, or after the Phase I EEG testing. – MRI: This is a tube-shaped machine that uses a powerful magnet to take very accurate pictures of you/your child’s brain. The scans require the patient to hold very still, so young children may require sedation for this test, especially because the machine is kind of noisy and can frighten younger patients. Your child may need to receive an injection of contrast dye during this test, but the scan itself does not hurt. – Functional MRI or “fMRI”: This test is done on the same machine as a regular MRI, but specifically takes pictures of active areas of the brain. No dye injections are needed. You/your child will be asked to perform simple tasks during the scan, such as identifying objects in a picture, or tapping fingers together. This will help us find the areas of the brain that control important abilities like speaking and moving. – PET, or Positron Emission Tomography: This test uses a special kind of sugar to find areas of the brain with high or low metabolism. You/your child will refrain from eating for a few hours, then receive an injection of sugar water that the scanner can see. Your child will then light under a special camera for a period of time, and the machine will watch which parts of the brain take up the most sugar. – PET-CT: Sometimes a PET scan is combined with a CT scan, which gives additional information about the locations in the brain that are most metabolically active. The CT scan is painless and does not add very much time to the PET study. – SPECT: SPECT studies are very similar to PET scans. The patient receives an injection of a very weak radioactive tracer element, then lies under a special camera that tracks where the tracer goes in the brain. Sometimes, during phase I EEG recording hospitalizations, we try to obtain a SPECT scan during or immediately after a seizure, looking for “hot zones” in the brain. This is called an “ictal” SPECT. SPECT scans that take place at other times are known as “inter-ictal” SPECT. If you ever hear the term “SISCOM,” this refers to an advanced computer technique that allows us to blend images from SPECT and MRI studies into a single “hot zone map” of the brain. – Magnetoencephalogram, or MEG: MEG is a fairly new technology for looking at abnormal electrical activity inside the brain, and it does so by looking for the magnetic fields created by abnormal electrical discharges. MEG studies are painless, and require the patient to sit in a chair with a large machine above their head for a period of time. Because this technology is new, not every hospital offers this yet, and the University of Florida has not yet acquired a MEG machine. If your epilepsy surgery team determines that a MEG study is required, you may have to travel to another city to have this performed. – Neuropsychiatric Battery Testing: This is a detailed test performed by a clinical psychologist, and essentially involves a long interview with various mental tasks assigned. This testing gives us a compressive overview of how your child’s brain is functioning, and any areas of function that are not optimal. This is important before surgery, as it will allow us to tailor our advice and our discussion of surgical risks with you depending on what area of the brain needs surgery and your child’s level of function there. Having a pre-surgical baseline is also important, as we will repeat the testing after surgery to determine if any levels of function have changed, in order to best provide therapy and/or rehabilitation services to your child. – Wada: Wada testing is not commonly used, but we do occasionally perform it if the above studies have not given us enough information about your child’s language areas of the brain. The test can only be performed on older children who are cooperative, because it is invasive and requires the patient to be awake during the test. A special IV catheter is placed in an artery on the patient’s leg, and a small catheter is carefully snaked up into the carotid artery on either side of the brain. An injection of anesthetic agent is then given on one side or the other, allowing us to selectively anesthetize one side of the brain at a time. We then attempt to talk to the child to determine how their language is functioning. When the language-dominant side of the brain is asleep, the child will be unable to participate in the discussion, and this will give us important information for surgical planning. Sometimes, after doing the above tests and Phase I, we have enough information to proceed directly to Phase III, which is direct removal or disconnection of the area of the brain responsible for the seizures. However, sometimes, despite all of the technology described above, we are unable to adequately define the area of the brain that is causing your child’s epilepsy. In such cases, we may need to perform invasive brain wave testing prior to deciding whether we can safely remove the seizure focus. This is called Phase II. Your child will be brought to the hospital and undergo surgical implantation of monitoring electrodes directly into or onto the surface of the brain. Your child’s neurologist and your child’s neurosurgeon will carefully plan this operation to ensure maximum safety as well as maximum yield of important diagnostic information. Your child will then stay in the hospital for several days, similar to the Phase I recording, and we will attempt to capture seizure activity directly from the brain itself. In addition, we can use the electrodes to stimulate areas of the brain, which allows us to determine function areas more accurately. This is called “mapping.” This testing is painless, as the brain does not actually have any pain nerves inside it, although your child may have some pain from the surgical implantation of the electrodes. At the end of Phase II, we should have enough information to make a final recommendation regarding surgery to remove the seizure focus, and whether it can be safely accomplished. Again, not every child requires a Phase II, and some are able to proceed directly to Phase III. This phase is the actual surgical removal or disconnection of the area of the brain that is causing your child’s epilepsy. It is important to know that there are many different kinds of Phase 3 surgery, and your child’s neurologist and neurosurgeon will collaborate to decide which option is best for your child. Some children will not qualify for Phase III surgery, if the previous phases discover that the area of the brain to be removed is involved with critical neurologic functions. If your child does qualify for Phase III surgery, your epilepsy surgery team will discuss the proposed operation with you, and give you a detailed understanding of the possible risks and benefits of the surgery. We hope that this guide has been helpful and informative as a broad overview of the epilepsy surgery evaluation process. Obviously, there are many details that we have not discussed in depth here, and every child’s evaluation will be slightly different depending on their needs and their testing results. The epilepsy surgery team will explain each step of the process to you and we’ll do our best to ensure that all of your questions and concerns are addressed. You are always free to contact us with any questions or concerns that develop between your appointments. 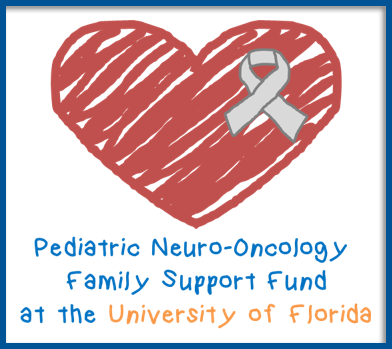 We thank you for choosing UFHealth and Shands Children’s Hospital for your child’s care.